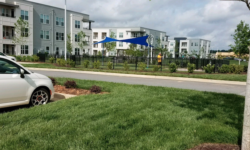 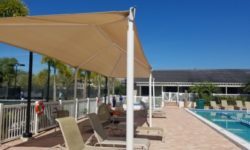 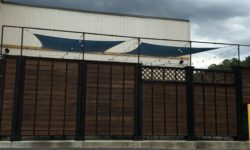 Home Archive by category "Carolina Shade Sails Blog"
More and more HOAs are stepping forward and adding shade to their outdoor areas. 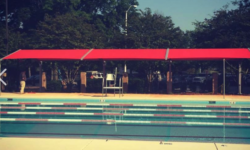 Shade structures are being installed along pools, tennis courts and baseball fields. 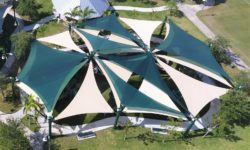 Call Carolina Shade Sails today and let us design a structure for your outdoor area. 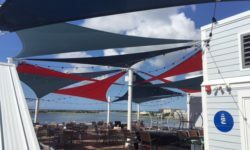 Moonrakers -Rooftop Dining under the Sails! 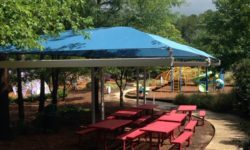 Poe Education Center in Raleigh NC did some improvements to their outdoor learning area by adding new fabric to thier shade structures. 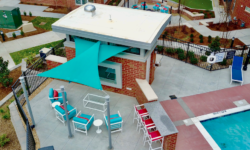 Carolina Shade Sails added bright blue shade covers to give the space an updated bright look! 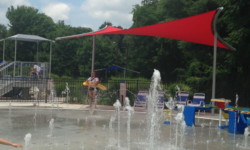 Pool Shade Structures make a splash!